Thanks for this. … I am no Eastern Orthodox but Presbyterians need a good dose of EO and the EO could use a little Presbyterianism. I like to think of my theology as a Presby ressourcement. That sort of mystical theology is totally absent from the Free Church. I, myself, am not a Presbyterian, but the call to mystical theology for low Protestants is important. The image of people who are interested in evangelism and church-planting, who want to see their culture reached for Christ is not — fairly or otherwise — typically that of the mystics. Which is a shame. In my mind, ‘the man on the street in Glasgow’ — in this instance — is in need of social assistance. (This is not intended as a general statement on Glaswegians.) Why should we worry about St Gregory of Nazianzus and Trinitarian theology when there are starving people out there? In Glasgow? The image of people who are interested in social action/activism, who want to see the poor clothed and the hungry fed is not — fairly or otherwise — typically that of the systematic theologians. Which is a shame. Somewhere in his book The Inner Experience, Thomas Merton references St John of the Cross as teaching that one should spend more time in contemplation (used here in its mystical sense) than action — that actions ungirded in the contemplative life are prone to be willy-nilly and of less use. How do we know we are doing them for God’s glory? What is His will? That sort of thing. That’s one approach to contemplation in a world of action (social/evangelistic). The other is this: Good theologia and good theoria (contemplation), good thoughts about God and good thoughts in God, dogmatics and mysticism — these, in fact, lead to just behaviour and holy living and Gospel-telling. 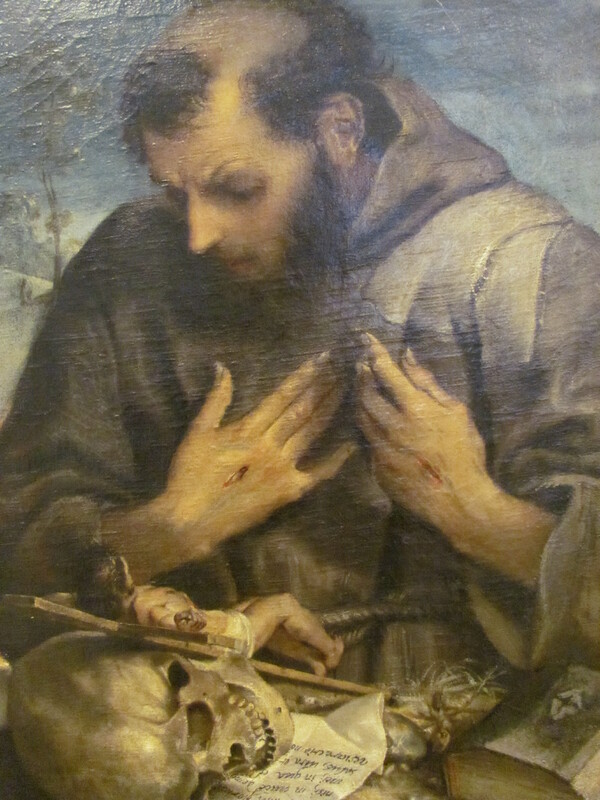 Think on St Francis, who was a mystic if ever there was one. But his fervour for prayer, dispassion, contemplation was as tied to a fervour for preaching and for helping the poor. Solid theology and ‘mystical’ practices give heart and soul to our activities in the world. Perhaps it is our lack of deep thinking and deep praying that weaken our witness of love to a world eroded by hatred and false loves at every turning. By looking upon God, whether through the intellectual truths of theology or through the noetic experience of mysticism, we can be suffused with His power, His light, and His love for a broken world. Maybe then we’ll be worth listening to. I recently remarked to a couple of Master’s students groaning about reading Homer that if they’re interested in Late Antiquity, Homer’s not totally irrelevant, given that Gregory of Nazianzus wrote poetry in Homeric verse. A (very pleasant and overall thoughtful) young convert to Eastern Orthodoxy remarked that he really liked Gregory’s theological poetry. I said that I liked his poems, too. Then this fellow said that you don’t find theological poetry in western theology, and that a reading group of which he is a member had been reading the Second Theological Oration and he loved some of the poetry in it. I asked if the ‘poetry’ was written in verse. No, it was just very beautiful. I said that that’s actually rhetoric, and that that’s the Fathers for you. They have rhetorical training, and such beauty comes through in their theology, that people like Gregory, Augustine and Ambrose didn’t study rhetoric for it to have no effect on their style of writing. Our conversation moved on, because I’m bad at confronting people face to face when they say stuff like that. In the above exchange, there was one category error and (at least) one misrepresentation of western theology. Now, I’m not going to say that Gregory of Nazianzus at his high-flying, rhetorical, ‘poetic’ best isn’t magnificent and stunning. He is. And his theology is good, too. 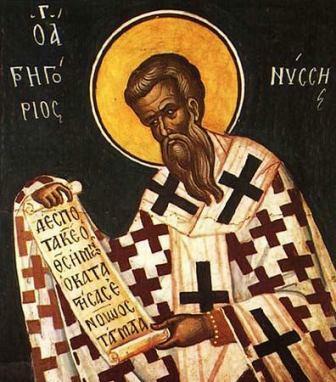 And other eastern Church Fathers, like Gregory of Nyssa or Basil of Caesarea or Athanasius or, in Syriac, Ephraim the Syrian (literal poetry, in his case), have all displayed to me the stylistic beauty of their writings over the years. But to say that anything beautiful is poetry is not to know what poetry is. And to say that western theology has no poetry is not to know the western heritage. Sometimes I think a lot of people leave the western churches for Eastern Orthodoxy because we’ve been holding back our own riches of a variety that Eastern Orthodoxy spreads out lavishly. I do not imagine that my acquaintance has read beautiful, ‘poetic’, rhetorical western theology and failed to recognise what it is. I imagine that he has not read it. So, first: Western theology has poetry. Literally. This should go without saying on this blog, given the series of holy week poems I posted this year, including ones by Theodulph of Orléans (9th c), Ambrose of Milan (4th c), Venantius Fortunatus (6th-7th c), Thomas Aquinas (13th c), and a couple of anonymous ones. I have also discussed Ambrose of Milan’s hymnography. It is worth observing that two of the greatest theological minds of the western tradition, Sts Ambrose of Milan and Thomas Aquinas, were both, literally speaking, poets. So were Peter Abelard and Bonaventure, one a controversial theologian, the other a mystical theologian. Others who are famous as poets also wrote theologically, such as Prudentius and Sedulius. Also, Dante has more than a little theology in his poetry, and of the moderns, we need look no further than the Holy Sonnets of Donne, or the theological work of Spenser, or the world of Francis Thompson or Gerard Manley Hopkins to find westerners (Anglican & Roman Catholic) writing theological poetry. And, second: Western theology can be poetic. In prose. So, figuratively? Today, when a lot of people say ‘western theology’, they actually mean either something that looks like mediaeval scholasticism (which is both a way of thinking as well as a style/genre of approach) or something that looks like the Enlightenment. That all western theology is about precision and order and sets itself out in Aristotelian syllogisms and spends its time being obsessed with the rational and forgets the mystical and so on and so forth. This is largely a caricature, and it is entirely inappropriate for western, Latin theology before some time in the Middle Ages, and not always inappropriate thereafter. Not only do western theologians produce a good supply of poetic, beautiful, rhetorical work, eastern theologians use their fair share of logic and reason (so John of Damascus, most of Basil of Caesarea’s On the Holy Spirit, much of Gregory of Nazianzus’ Theological Orations, Cyril of Alexandria, and so forth). The style of theology we are caricatured as doing exclusively is not our exclusive domain. And the style we are imagined as not engaging in is part of our territory, too. Not necessarily theology at its most poetic/rhetorical/beautiful. But not lacking in what a Romantic eschewing verse might call ‘poetry’. If you’ve spent your time with Latin Christianity through the medium of text books or of dry dogmatics, refresh your understanding of it. Grab One Hundred Latin Hymns: Ambrose to Aquinas by P G Walsh and Christopher Husch, or St Bernard of Clairvaux, or Lady Julian of Norwich, or any of a multitude of western theologians and poets, and reacquaint yourself with the tradition we all seem to have forgotten and then scorned. In this case, it is not familiarity that has bred contempt. ‘Hayesworldview’ over at his blog Apologia and the Occident recently posted about ‘The Great Realignment‘. The inspiration was Metropolitan Jonah (OCA) and his address to the Anglican Communion in North America. The post brings up the ever-widening, yawning gulf that exists in today’s Christianity, and that gulf is not Catholic-Protestant or evangelical/charismatic-mainline. It is a chasm that cuts through across these divides, between what once was called ‘conservative’ and ‘liberal’. Of course, even if you read Hayes’ table of the different ecclesial bodies, it is inevitable that there are strong, traditional, biblically-faithful congregations in the more ‘progressive’ denominations such as ELCA (and ELCIC) and TEC (and ACC) and the United Church of Canada, even, despite the fact that more and more of the upper hierarchy and governing bodies are relativising or denying biblical, gospel, creedal realities — and not just the usual moral/ethical issues that are brought up in these contexts, but, as I have blogged before, compromises on the divinity of Christ, the Virginal conception, the Resurrection of Christ, miracles, demons, angels, sometimes even the ‘theistic’ conception of God himself. What has become difficult for me these days is that people don’t always fit clearly into these camps. Perhaps someone compromises on one or more ethical issues but affirms all of the doctrines of the Nicene Creed. Perhaps someone denies Penal Substitutionary Atonement (probably because they haven’t read this fine article from First Things), but seems otherwise orthodox. Perhaps someone questions biblical authority in various ways but still believes most biblical theology. Perhaps someone denies the divinity of Christ but still affirms his messiahship and resurrection. There are probably endless combinations. Maybe it’s just cognitive dissonance. Maybe such folks are still symptomatic of the wider concern that ‘progressive’ Christianity presents: I, myself, the lone reader with my enlightened twenty-first century perspective and historical-philological-logical tools am the final arbiter of truth. And thus a pick-and-choose orthodoxy arises? But this sort of pick-and-choose orthodoxy is common to all of us, to some extent. My friend pastors an independent, evangelical church in Nicosia, Cyprus. He has congregants who self-identify as both Orthodox or Roman Catholic and Protestant. One of the elders goes to Mass on Saturday nights, and then the Protestant church on Sunday mornings. I, myself, am something of an eclectic orthodox Christian. 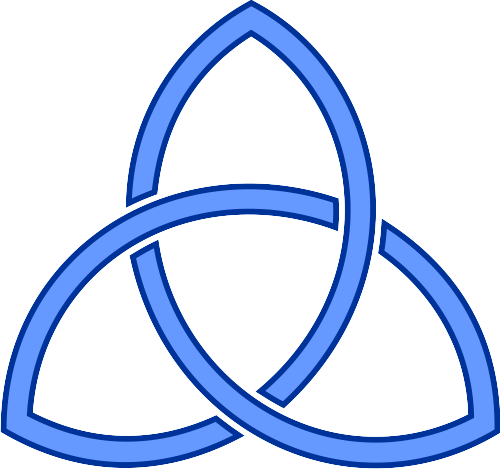 Some days, I fully affirm a Thomist view of the Trinity. But I also find Palamas’ concept of the essence and energies of God compelling — a Byzantine concept far divorced from Thomism. I agree with Luther on the Eucharist — not consubstantiation but an affirmation that it is the Body and Blood of our Lord. Full stop. I waffle on Predestination and Just War, but other than those last three I usually agree with the remaining 36 Articles of Religion. I am known to kiss icons and light candles, but would never require it of anyone. I like a little incense, but not every Sunday. I’ll call Mary Theotokos but not ask her to intercede for me. In fact, sometimes, when I think about this divide, I wonder if the only real difference is whether someone sat down and read C S Lewis et al. while developing his’er personal theology or J S Spong, et al. That is to say: My answers may differ, but is my methodology ultimately that different from my ‘progressive’ friends? This why we should all, progressive and conservative alike, flee to the Fathers. We need something to root us beyond our own, personal whims and tastes. I want to believe orthodoxy because it is true, not because it suits me. May that be the case evermore and evermore. Last Thursday, I gave a seminar on ‘Trinity and Mission’ at the Greek Evangelical Church. It began with a run-through of the history of Christology — this is something I blog about often, so I’m not going to repeat everything here; just follow the links around my blog. I started with Irenaeus’ Rule of Faith and recapitulation, moved on to Athanasius, then the Kappadokians, before sliding into Cyril and Chalcedon. I closed with the Trinitarian exegesis of Matthew 28, as found in the blog post Trinity and Mission. Not really discussed here before, however, is the following that flows from the Cappadocians — this is consciously following Zizioulas’ reading of them in Being As Communion, which I have heard has some problems; I’ll have to read all of what they say as well as the criticisms some day. Until then, here we go. The result of this Trinitarian theology, whether expressed by Greek theologians such as the Kappadokians or Latin theologians such as Ambrosios and Augustinos, or even the Syriac theologians Aphrahat and Ephraim, has important implications. 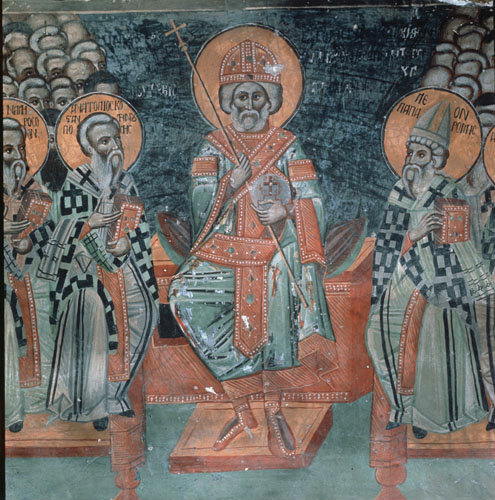 As expressed classically by the Kappadokians, the Father, Son, and Holy Spirit are three distinct prosopa or hypostaseis who are all homoousios — they share an ousia. And, following the logic of causation in classical philosophy, God is the principle at work behind all things and the Creator of all things, the unmoved mover — as in the magnificent image of Gregorios’, that Jesus is ‘the founder of the universe who steers its course’. Therefore, this give-and-take of ousia in fullness of koinonia between the Persons of Father, Son, and Holy Spirit lies at the heart of the created order. The universe is run by a koinonia. And here I mention our first ethical implication of classical Trinitarian doctrine — we are all made in the image of God (Gen 1:26). God is a Trinity of Persons in complete harmony, homonoia. When we look at our fractured churches in Protestantism, churches that splinter every time you turn around, when we look at our families who sometimes never talk at all or are never willing to discuss things of substance, when we look at our broken relationships all around us, when we observe a fracturing world at our doorstep — Turks in the North, Israel vs. Palestine, internal unrest in Syria — we realise that we are not living as God, the Trinity who exists as self-giving love in perfect communion, intends us to. If we are to live in accordance with the theology of ancient Christianity, we should be peacemakers, in our homes, our workplaces, our churches — even our nations if the possibility presents itself. All humans are made in God’s image, and all of us were meant to live in loving communion with one another. I imagine that this union of selfless love is what instilled God to inspire our Lord to pray for unity, St Paul to exhort the Corinthians to unity, and for the early Christian writers of the late first and early second centuries, such as Clement of Rome and Ignatios of Antioch, to strive for unity so forcefully in their letters. As far as mission goes, the koinonia of the Trinity should encourage us to work together; Christians of different sorts who work together provide a united face for the Gospel to an unbelieving world. I have seen this in Lefkosia in the Nicosia Community Church using your building, in the Nicosia International Church using the Anglican church — and I understand that Rick at NIC works together with the pastor at NCC in preparing their sermons. When I worked for IFES here, we ran the Place at the Anglican church hall jointly with the Anglicans, NIC, and New Life International Church, reaching out to the Hindus, Buddhists, and Muslims who come to study in this beautiful city. This sort of gospel partnership should be the lifeblood of mission in post-Christian Europe.